Labels: The Haunted Boy The Secret Diary Of The Exorcist. THE BOOTH BROTHERS WINS. THE POSSESSED, Winner of Best Paranormal Documentary-2009. Thank you to everyone that watched The Booth Brothers SyFy features Children Of The Grave and The Possessed. We appreciate all your spooky support as it was a big success:)BIG CHEERS 2 U!!! 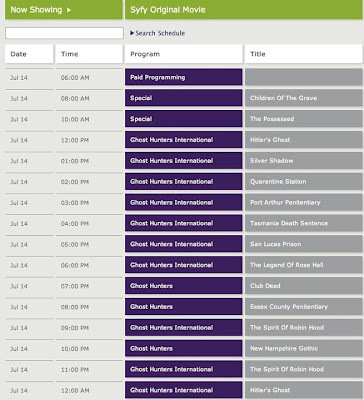 Booth Brothers Double Feature "Children of the Grave" and "The Possessed" July 14th on SyFy,NBC Universal. Check local listings for times!